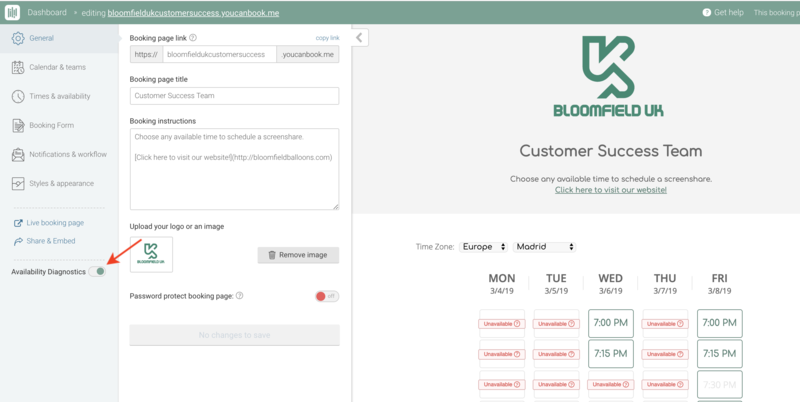 Setup your booking profile and still showing some times as unavailable for booking? Use our new Availability Diagnostics tool to figure out why. 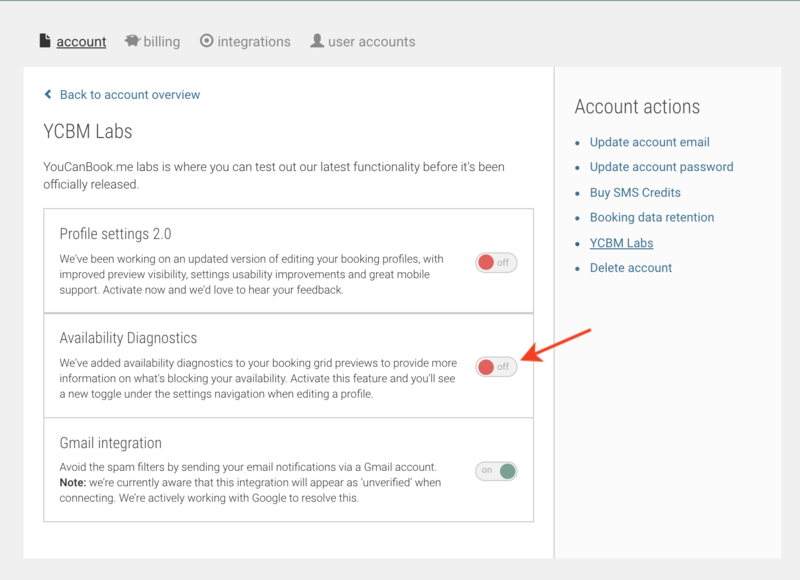 This tool is currently in Beta, so navigate to YCBM Labs to turn this feature on. Note: Profile settings 2.0 needs to be toggled off for Availability Diagnostics to work properly. Then, on your booking profile, toggle Availability Diagnostics on in the left navigation. Now, slots that are unavailable will show in red, with a question mark that will provide more information.